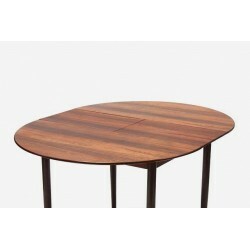 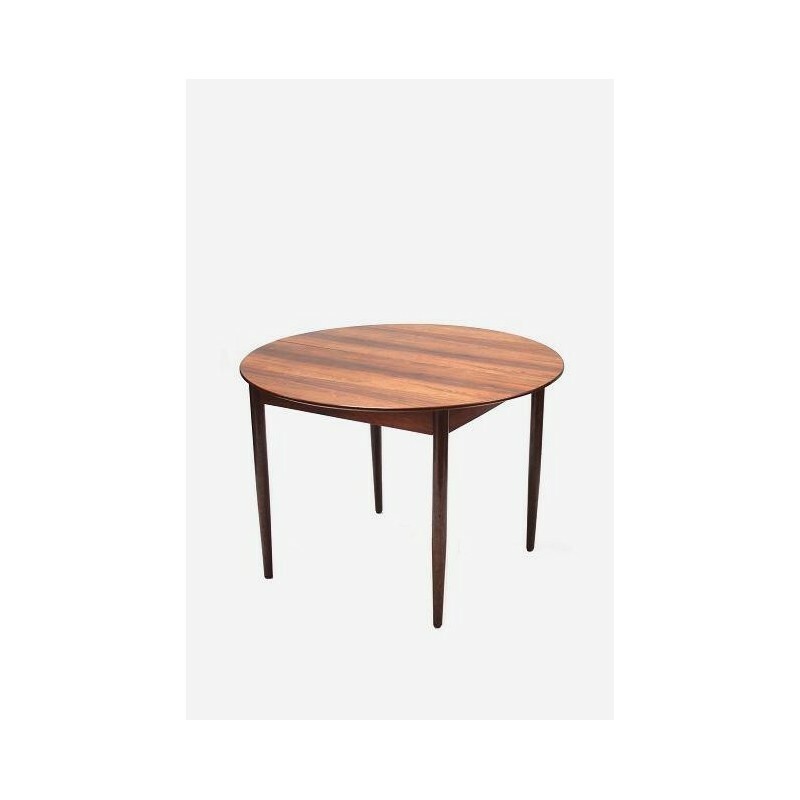 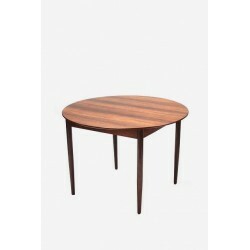 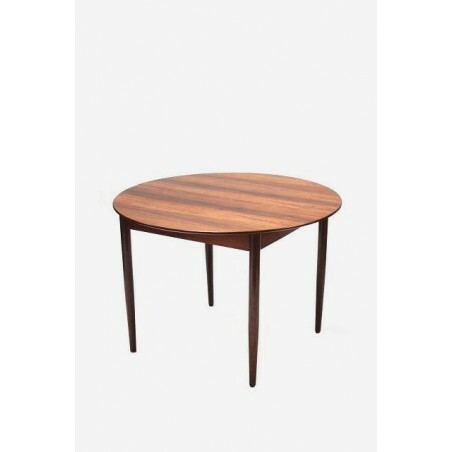 Round dining table from the 1960's manufactured in rosewood. 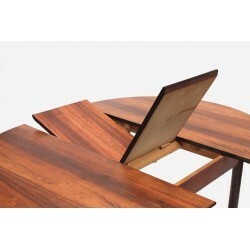 The table is extandable with 34 cm extra. 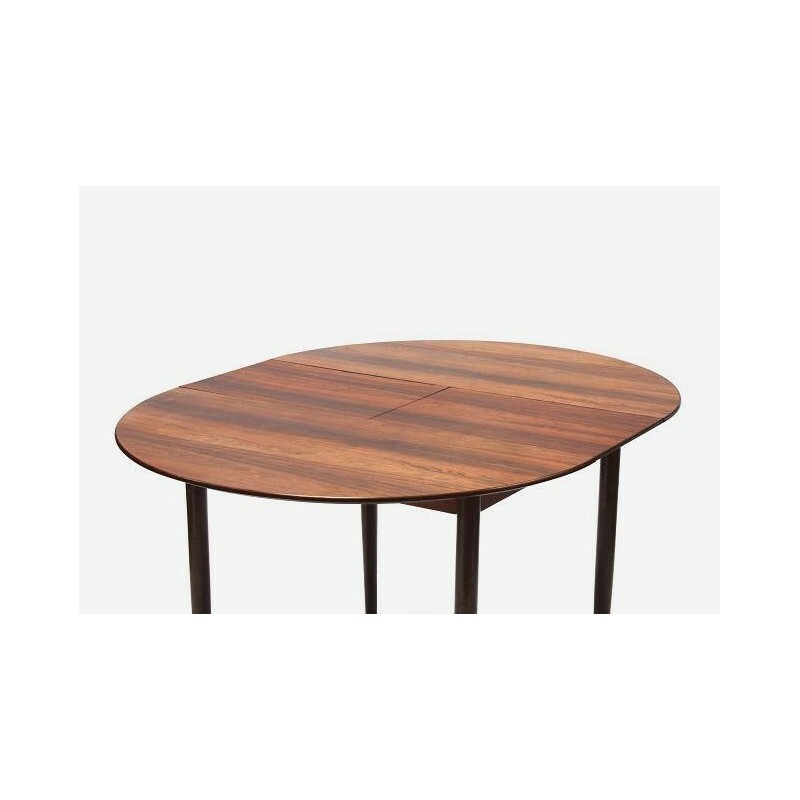 The consiton of the table is good. 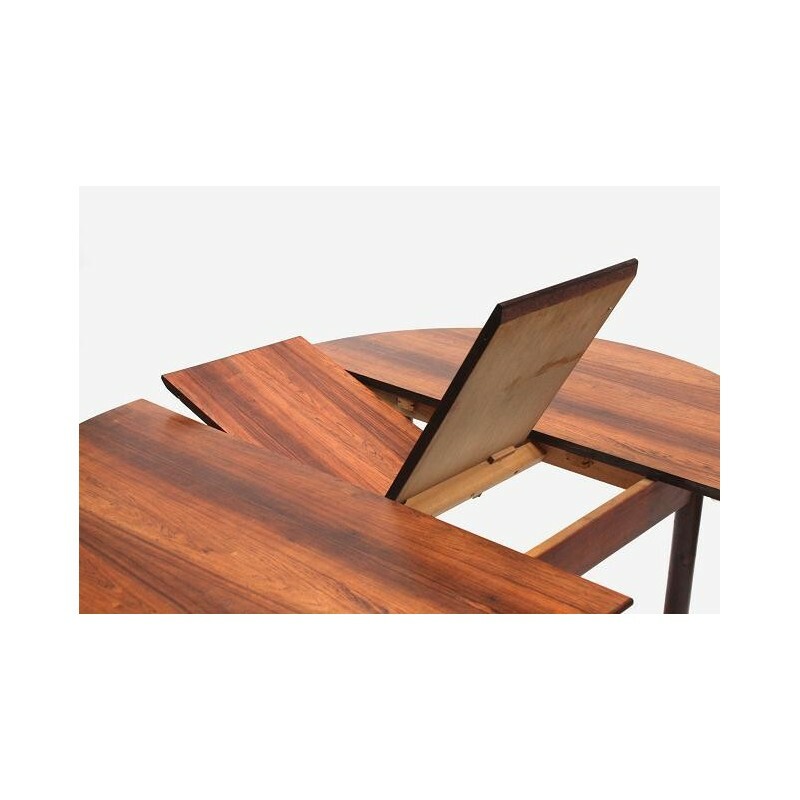 The dimension is 73 cm in height and the width is 103-137cm.